Selling a problem home can be just that - a problem! Hopefully you'll never know what it's like to have a difficult home on your hands. Even having a relative who has to sell a problem home in the Fox Cities or anywhere else can be stressful, let alone doing it yourself. But there is hope! Mold. Mold can be a little problem, a big problem, or a little problem that will lead to a big problem. The thing about mold is this - it's not only a surface problem - it can create major health issues, and it grows 24/7. Water damage. This is often the root of BIG problems, including mold, rot, and structural degradation. Odor problems. If your house smells like cat pee, cigarette smoke, or anything else that offends the olfactory system, you may have a major problem on your hands. A Bad Roof. Roofs are expensive to fix, and most buyers don’t want to step into those shoes. Yuck! Mold Can Be A Huge Problem. And the list goes on and on, unfortunately. If you do have a problem home, you may have to look at "alternative" solutions to getting rid of it. The good news is, their are usually investors just looking for homes like yours. And some of them will give you cash for the opportunity to take it off your hands. Here are 5 steps to help you sell a problem home in Appleton, the Fox Cities, Green Bay, or Anywhere Else.. Try to keep a cool head. Remember, there is SOMEBODY out there who wants your house. This is the time to keep a positive attitude. By doing research, you arm yourself with the facts! Should you fix your problem house? Sell it as-is to an investor? Find out what your options are. There are professionals out there you can trust. Talk to a Realtor or appraisal expert to find out what they think. Maybe even get bids from a contractor. Then you can make a more informed decision. I like what is called a win-win situation. 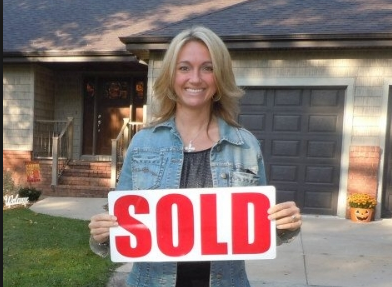 Most of my investments are with people who are trying to sell BIG PROBLEM homes in Appleton or the Fox Cities. I get a property at a good price that I can fix up and make a profit on, and they get rid of their problem property without having to put any more of their own money into it or worry about inspections, banks, or appraisals. So they win, and I win. Finding a cash buyer like me is a great way to go if you are trying to sell a problem home. Most of all, trust yourself. And that means not getting into a deal you don't feel good about just because you are scared you will never sell the house. When you meet the right investor who can give you the best deal for your problem house, you'll know, because they will treat you and your property with respect and dignity. And that's a win win for everybody. Looking for a cash buyer for your problem house in Appleton and The Fox Cities? Contact me today! 920-740-3599 Either I will I buy it, or I also have a huge database of investors who might be able to pay even more than me depending on the home and it’s location. I’m happy to connect those people to you so you can get the highest offer!